Eurocarparts 1 day sale. 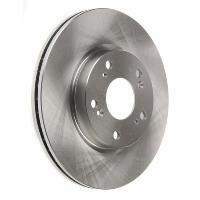 50% off Brake discs and pads. 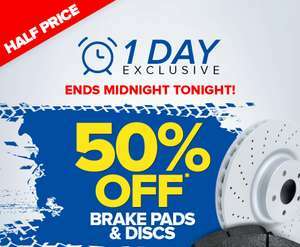 50% off Brake discs and pads until midnight only. Oh yet ANOTHER sale its a joke just sell at normal prices ! Well it cost me £22 for both my rear discs last time this offer was on. But all those people in marketing department must prove they are useful to the company. If you do happen to find a deal on they site they probably won't honour it either. They need to be blacklisted till they get their act together. I've always found them good to deal with directly. 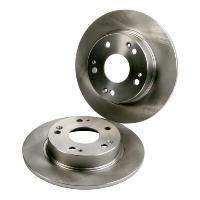 Pagid are OEM and make the brakes for most factory cars on the road. I always clean discs off and then spray them with UHT stonechip-proof black paint into the vents and bells. You can save a lot of ££ getting OEM parts - I bought some TRW drop links when I had a Boxster, and they were about £20ea rather than £90 each from Porsche. When they arrived, they just had the porsche logo ground off and had the exact same part numbers. I always clean discs off and then spray them with UHT stonechip-proof …I always clean discs off and then spray them with UHT stonechip-proof black paint into the vents and bells. You can save a lot of ££ getting OEM parts - I bought some TRW drop links when I had a Boxster, and they were about £20ea rather than £90 each from Porsche. When they arrived, they just had the porsche logo ground off and had the exact same part numbers. Yeah, unless you are a maker specific specialist you are not likely to have the knowledge. I had bad experiences with some cheap stuffs I usually fork for oem for important stuff like timing and stuff you cannot get aftermarket.